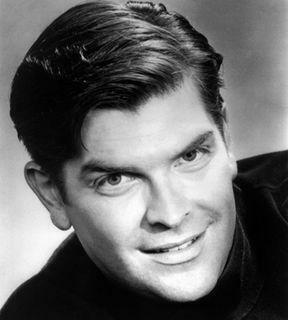 A vibrant presence in the operatic world, Gary Rideout died after a brief illness on 29 September, 2007 at the age of 55. He sang for many seasons at the Met, San Francisco, Los Angeles, Washington, Tel Aviv, Cincinnati, Adelaide, Strasbourg, Santiago, Arizona and Canadian Operas. Critically acclaimed as one of the world’s leading character tenors, in recent years he had moved into the Heldentenor repertoire, singing Florestan and Siegfried and can be heard on the recently released Melba recording of the Australian Ring as Siegfried. Gary sang his first Siegfried under the baton of Valery Gergiev in the premiere of the Wagner’s Ring at the Kirov in St. Petersburg. Trained at the Universities of Michigan and Toronto, he made his American debut in The Phantom of the Opera on Broadway, later singing in the world premieres of Heggie’s Dead Man Walking in San Francisco and Dratell’s Nicholas and Alexandra in Los Angeles. He was a soloist with the orchestras of Montreal, Milwaukee, Aspen, Manchester, Baltimore, Kingston, Ottawa and the Concertgebouw of Amsterdam. Mr. Rideout resided in Sarasota, Florida and is survived by his sister Vanda Rideout and brother Neil Rideout.